PRG Has a Full Calendar of Bar Review Classes Coming Up! Once you make the decision to take PRG’s industry leading Patent Bar Review course, you want to have plenty of options for when you attend and where you attend. PRG is ready for you! 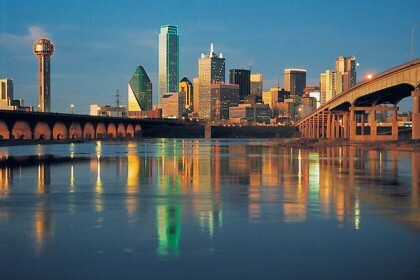 From New York to Dallas: Our December Bar Review course is in Dallas, TX. Of course, our online video course is available whenever and wherever you are ready to take it! And whether you take our classroom course or purchase the video course, you’ll also benefit from access to the web-based version of ExamWareTM, our highly-acclaimed patent exam preparation software. For a while, I was actually ahead of the game, since I got my official transcript over a month ago. Despite Brad’s advice to apply for the exam as soon as possible after the PRG Patent Bar Review Course, I just didn’t get the papers together and sent in until this week. When I finally did start to get the materials together, I kept getting hung up on ridiculously simple details. If you want to learn more about the registration process for the Patent Bar Exam, read the entire post here! Since I last blogged I have been concentrating my efforts on learning to navigate the MPEP. I have been doing this by using ExamWareTM to answer questions randomly sampled from all of the sections. Before now I had some awareness regarding how large and difficult the MPEP is, but having to actually use it to answer exam questions has been something of an eye-opener. Do you want to know how Chris uses sections of the MPEP as study tools and his strategies for answering practice exam questions? Read the whole blog post over at Passing the Patent Bar with PRG! The America Invents Act and the Exam – What Should I Do? The America Invents Act is the most sweeping change to US Patent Law in decades and anyone preparing for the exam, or even thinking about the exam, is rightly questioning what this means. How will the America Invents Act affect the exam? Read the entire post and find out! PRG Offers a Unique First-Hand Look at the Patent Bar Exam! PRG offers the industry’s leading Patent Bar Review course, and we always keep the program fresh, relevant, and focused on the needs of our students. Most recently, we began offering both ExamWareTM and the video version of our course online. The response has been tremendous, and now we have another free new resource to help ensure our students have a successful exam experience. We’re giving you a one-of-a-kind invitation to follow along online with Landon IP patent analyst Chris Casson as he pursues his dream of passing the Patent Bar Exam. Read Chris’ blog to follow his experiences, from taking PRG’s classroom Patent Bar Review course, to studying for the exam using PRG’s recommended approach, to finally taking (and passing!) the exam. Look for new posts every Thursday at Passing the Patent Bar with PRG! 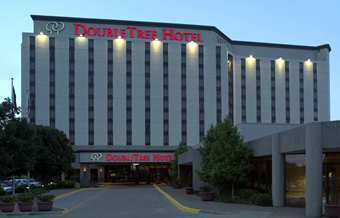 The PRG Patent Bar Review in December is at the Doubletree Hotel in Dallas, TX. And our online video course is available whenever and wherever you are ready to take it!